The best way we know of to accelerate learning is to slow down! It may be counterintuitive, but learning slowly—in ways that foster deep understanding—is the best way to speed up growth! You’ve achieved deep understanding when you’re able to connect new knowledge with your existing knowledge, then put it to work in a variety of real-world contexts. In an earlier post, I presented evidence that building deep understanding accelerates learning (relative to learning correct answers, rules, definitions, procedures, or vocabulary). In this post, I’m going to explain why. If you’re a regular reader, you’ll know that my colleagues and I work with a learning model called the” Virtuous Cycle of Learning and +7 skills” (VCoL+7). This model emphasizes the importance of giving learners ample opportunity to build deep understanding through cycles of goal setting, information gathering, application, and reflection. We argue that evidence of deep understanding can be seen in the coherence of people’s arguments—you can’t explain or defend an idea coherently if you don’t understand it—and other evidence of their ability to apply knowledge. When we learn deeply—the VCoL way—we build robust knowledge networks that provide a solid foundation for future learning. Because poorly understood ideas provide a weak foundation for future learning, my colleagues and I hypothesized that, over time, learners with lower levels of understanding would grow more slowly than learners with higher levels of understanding. We measured understanding by scoring learners’ written arguments for their coherence—how clear and logical they were—on a scale from 1-10. We measured their developmental growth with the Lectical Assessment System, a well-validated developmental scoring system. For details about the study, see the full report. For the figure below, I’ve borrowed the third graph from the “stop trying to speed up learning” post, which showed growth curves for students in three different kinds of schools. The first (faded teal) group represents students in private schools that emphasized VCoL, the second (faded lime) group represents students in private schools with conventional curricula emphasizing correctness, and the third group (faded red) represents students in public inner city schools with conventional curricula emphasizing correctness. I’ve faded the learning curves for students in these schools into the background. To this figure, I have added three brightly colored growth curves. These predicted growth curves based on the results of our study on the impact of coherence (which represents level of understanding) on developmental growth. At this point, it’s important to reveal that all of the students included in our study of coherence were students in inner city public schools with a high percentage of students from low income families (the faded red group). Each curve stands for the predicted growth of a hypothetical student from these schools. In the 4th grade, our hypothetical students received time 1 coherence scores of 5.5, 6.5, and 7.5. These values were selected because they were close to the actual time 1 coherence scores for the three groups of students in the background graphic. (Actual average 4th grade scores are shown on the right.) The vertical scale represents developmental level and the horizontal scale represents school grade. As you can see, the distance between grade 8 scores predicted by the hierarchical regression is a bit less than half of the difference between the actual average scores in the background image. What this means is that in grade 8, almost half of the difference between students in the three types of schools can be explained by depth of understanding (as captured by our measure of coherence). Both type of instruction and wealth predict learners’ growth trajectories. The results from our study of the impact of coherence on development suggest that if we use forms of instruction that support deep understanding, we can accelerate learning—even for disadvantaged students. These results are consistent with patterns observed in adult learning, in which programs that employ VCoL have been found to accelerate learning relative to programs that emphasize correctness or motivation. Lectica’s nonprofit mission is to help educators foster deep understanding and lifelong growth. We can do it with your help! Please donate now. Your donation will help us deliver our learning tools—free—to K-12 teachers everywhere. Recently, I was asked by a colleague for a clear, simple example that would show how DiscoTest items differ from the items on conventional standardized tests. My first thought was that this would be impossible without oversimplifying. My second thought was that it might be okay to oversimplify a bit. So, here goes! The table below lists four differences between what Lectica measures and what is measured by other standardized assessments.1 The descriptions are simplified and lack nuance, but the distinctions are accurate. I chose a scenario-based example that we’re already using in an assessment of students’ conceptions of the conservation of matter. We borrowed the scenario from a pre-existing multiple choice item. Sophia balances a pile of stainless steel wire and ordinary steel wire on a scale. After a few days the ordinary wire in the pan on the right starts rusting. What will happen to the pan with the rusting wire? What will happen to the height of the pan with the rusting wire? Please explain your answer thoroughly. Here are three examples of responses from 12th graders. Lillian: The pan will move down because the rusted steel is heavier than the plain steel. Josh: The pan will move down, because when iron rusts, oxygen atoms get attached to the iron atoms. Oxygen atoms don’t weigh very much, but they weigh a bit, so the rusted iron will “gain weight,” and the scale will to down a bit on that side. Ariana: The pan will go down at first, but it might go back up later. When iron oxidizes, oxygen from the air combines with the iron to make iron oxide. So, the mass of the wire increases, due to the mass of the oxygen that has bonded with the iron. But iron oxide is non-adherent, so over time the rust will fall off of the wire. If the metal rusts for a long time, some of the rust will become dust and some of that dust will very likely be blown away. There is no single correct answer to the Lectical Assessment item. Instead, there are answers that reveal different levels of understanding. Most readers will immediately see that Josh’s answer reveals more understanding than Lillian’s, and that Ariana’s reveals more understanding than Josh’s. You may also notice that Arianna’s written response would result in her selecting one of the incorrect multiple-choice answers, and that Lillian and Josh are given equal credit for correctness even though their levels of understanding are not equally sophisticated. It’s not fair! The multiple choice item cheats Adriana of the chance to show off what she knows, and it treats Lillian and Josh as if their level of understanding is identical. The multiple choice item provides no useful information to students or teachers! The most we can legitimately infer from a correct answer is that the student has learned that when steel rusts, it gets heavier. This correct answer is a fact. The ability to identify a fact does not tell us how it is understood. Without understanding, knowledge isn’t useful. Facts that are not supported with understanding are useful on Jeopardy, but less so in real life. Learning that does not increase understanding or competence is a tragic waste of students’ time. Despite clear evidence that correct answers on standardized tests do not measure understanding and are therefore not a good indicator of usable knowledge or competence, we continue to use scores on these tests to make decisions about who will get into which college, which teachers deserve a raise, and which schools should be closed. We value what we measure. As long as we continue to measure correctness, school curricula will emphasize correctness, and deeper, more useful, forms of learning will remain relatively neglected. None of these points is particularly controversial. Most educators agree on the importance of understanding and competence. What’s been missing is the ability to measure understanding at scale and in real time. Lectical Assessments are designed to fill this gap. 1Many alternative assessments are designed to measure understanding—at least to some degree—but few of these are standardized or scalable. 2See my examination of a PISA item for an example of a typical written response item from a highly respected standardized test. I'm frequently asked about benchmarks. My most frequent response is something like: "Setting benchmarks requires more data than we have collected so far," or "Benchmarks are just averages, they don't necessarily apply to particular cases, but people tend to use them like they do." Well, that last excuse will probably always hold true, but now that our database contains more than 43,000 assessments, the first response is a little less true. So, I'm pleased to announce that we've published a benchmark table that shows how educational and workplace role demands relate to the Lectical Scale. We hope you find it useful! Nate is the kind of teacher every child needs and deserves. We want to (1) help all teachers build skills like Nate's, and (2) remove some of the barrier's he's concerned about. Does everyone learn in exactly the same way? All of our assessments are calibrated to the same learning scale, called the "Lectical Scale". To people who are familiar with how most educational assessments work, this seems pretty weird. In fact, it can sound to some people like we're claiming that we make a bunch of assessments that all measure exactly the same thing. So why bother making more than one? In fact, we ARE measuring exactly the same thing with all of our assessments, but we're measuring it in different contexts. Or put another way, we're using the same ruler to measure the development of different skills and ideas. The claim we're making is that people's ability to think about all things grows in the same fundamental way. To understand what we mean by this, it helps to think about how thermometers work. We can use the temperature scale to describe the heat of anything. This is because temperature is a fundamental property. It doesn't change if the context changes. When we say someone's temperature is 102º Fahrenheit, we can say that they are likely to be sick. However, we cannot say what is causing them to be sick unless we make other kinds of measurements or observations. 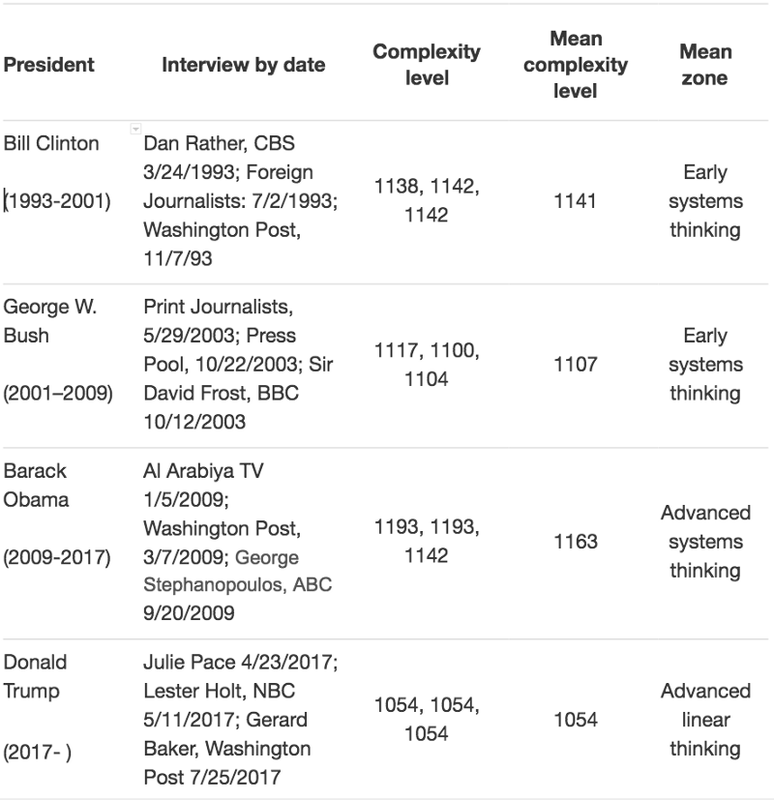 Similarly, the Lectical Assessment System (our human scoring system) and CLAS (our computer scoring system) measure the complexity of thinking as it shows up in what people write or say. Evidence shows that complexity of thinking is a fundamental property. A Lectical Score tells us how complex what someone has written or said is, so we can say that people who share that score demonstrate the same thinking complexity. But the Lectical Score doesn't tell us exactly what they are thinking. In fact, there are many, many ways in which two people can get the same score on one of our assessments, so in order to say what the score means on a particular test, we need to make other kinds of measurements or observations. Almost all of today's standardized educational assessments are technologically sophisticated, but Lectical Assessments are both technologically and scientifically sophisticated. We think of our approach as the "rocket science" of educational assessment. And Lectica's mission as a whole can be thought of, in part, as an ambitious and research-intensive engineering project. Our aim is nothing less than a comprehensive account of human learning that covers the verbal lifespan. You can think of this account as a "taxonomy of learning". At its core is the Lectical Dictionary, a continuously vetted and growing developmental inventory of the English language. We use this dictionary to support our understanding of the development of specific concepts and skills. It's also at the heart of CLAS, our electronic scoring system, and our as-yet-unnamed developmental spell checker. Every Lectical Assessment that's taken helps us increase the accuracy of the Lectical Dictionary, and every Lectical Assessment we create expands its scope. In this video, I explain how you can use Lectical Assessments to find out (1) if your leaders are up to the complexity demands of their jobs and (2) how Lectical Assessments can help them build the skills they need to close the complexity gap. Since 2002, my colleagues and I have been documenting the development of people’s conceptions of leadership. We’ve learned a lot about how thinking about leadership develops over time. This article provides a small sampling of what we’ve learned. You can think of what my colleagues and I call Lectical Development as growth in the complexity and integration of people’s neural networks. As illustrated in the above figure, one way this increasing complexity shows up is in people’s ability to work effectively with increasingly broad and layered perspectives. It also appears in people’s reasoning about specific concepts, including conceptions of leadership. The table below provides brief general descriptions of what reasoning about leadership looks like in the four adult zones. The next table provides examples of some of the ways people think about sharing power, courage, working with emotion, and social skills — in each of the four adult zones. Note how the conceptions at successive levels build upon one another and increase in scope. It’s easy to see why individuals performing at higher levels tend to rise to the top of organizations and institutions—they can see more of the picture. The Lectical Level at which leaders understand leadership affects how they choose to lead, and is a strong predictor of the level of complexity they can work with effectively. Lectical Assessments are designed to measure and foster growth on the Lectical Scale. If you’d like to learn more or have questions, we’d love to hear from you.